One of the best gifts life can bestow is a relationship, especially one that is illustrative, directional and impacting. The journey towards eventually becoming Asia’s leading Information Solutions and Credit Management Company was possible due to an early imprint laid down in 1983, neatly identifying and filling a gap for companies seeking to enhance their partnership and growth, based on the foundational principles of fair play and transparency. Partnerships and associations are forged by companies in their journey of growth, relying upon information that is both relevant and critical from a business standpoint. Investments and business decisions of great significance are based upon such information, dependent almost entirely upon its credibility. Such has been the role played by MIRA that when one looks at the fact that it has mitigated trade and business risk of over 1 LAC CRORE over the last 34 years, one begins to get a sense of its immense contribution to the business sector and the country at large. Resources that belong to a company are not only Individual but collective. It is often a bent of mind that makes all the difference between success and failure and so there are many examples of companies brought down to its knees because of compromises made. MIRA realized this gap in the business environment and sensed the need for reliability. It, therefore, made reliability a core path, making it possible for Investors and stakeholders to decide clearly upon their next course of action, based upon a MIRA report. It built upon this path through sustained effort and to its eternal credit, it has reached where it has, based purely upon word of mouth feedback about its capabilities and integrity. 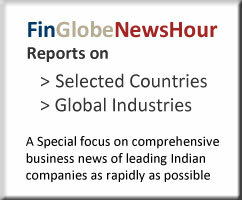 It is also fitting that it is an Indian company, one that belongs to an enriching culture. It will not be entirely out of place to note that the MI in MIRA is reflective of a miracle in it, whilst the RA in its name is reflective of a RAGA (musical note). The miracle in a note emanates from the purity of its soul. It is fitting that the Indian crown is richer by this jewel, known to the world as MIRA INFORM. Views expressed by Mr S N Moorthy, an eminent global personality. Mira Inform is Asia’s leading Information Solutions and Credit Management Company that helps its clients make the best decision in the face of complex business challenges. Address : 605, Palmspring, Near D'Mart, Link Road, Malad (West), Mumbai-400 064. © 2016 Mira Inform. All rights reserved. Site Designed by Katalyst Corp.